ALBUQUERQUE, NM and CARDIFF, UK — April 25, 2017 — SAVSU Technologies, the leading developer of smart precision shipping containers and cloud-based cold chain management SaaS solutions, today announced that that it will collaborate with Cardiff-based TrakCel Ltd to integrate its evo® Cold Chain 2.0™system with TrakCel’s Cellular Orchestration Platform™. evo Cold Chain 2.0 is a disruptive live cell visibility platform for management of time and temperature sensitive biologic materials powered by the evo cloud-connected Smart Shipper and evo Cold Chain Management SaaS. This cloud-based, cold chain management platform integrates shipping container pack-out, freight carrier selection and purchase, and real-time GPS location and payload temperature monitoring, with critical alerts provided to stakeholders in the clinical delivery chain, including shipment, approaching destination, delivered, opened and remaining shelf life. TrakCel’s Cellular Orchestration platform facilitates efficiency and compliance to quality standards in cell therapy manufacturing by enabling program-critical information to be collated, tracked and and documented. Detailed processes and managed workflows for every participant in the value chain enable safe and efficient scaling outward and upward as production increases. Conditional logic workflows for all participants including clinicians, logistics and manufacturing partners ensure standardization and compliance with validated procedures. Chain Link Research and Pharmaceutical Commerce market research estimate that there are 80 million to 130 million annual temperature sensitive pharmaceutical shipments requiring cold chain management, resulting in $12 billion spent annually on cold chain logistics, with $9 billion for transportation and $3 billion for specialized tertiary packaging and instrumentation such as insulated boxes, blankets, phase change materials, temperature sensors and dataloggers. The use of currently available cold technologies results in $15 billion to $35 billion spent annually replacing products lost due to temperature excursions. 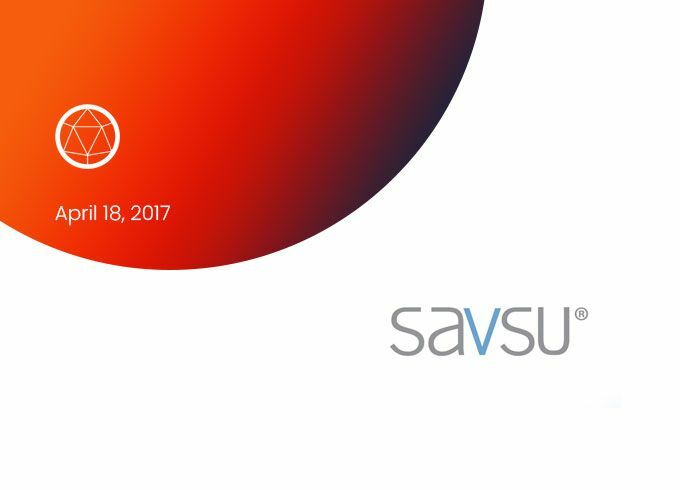 SAVSU is a leading designer and manufacturer of innovative, high performance, cloud-connected passive storage and transport containers for temperature-sensitive biologics and pharmaceuticals. Our mission is to improve global health by greatly reducing the waste and risks associated with the improper freezing and overheating of thermal-sensitive medicines and biologics. SAVSU has developed proprietary state-of-the-art technology to ultimately lower costs and improve delivery of these most essential materials. For more information please visit www.savsu.com. professionals across the supply chain and gives stakeholders on-demand visibility of procedural results and chain-of-custody data for immediate traceability, validation and compliance audits. TrakCel technology is increasingly being adopted by leaders in the cell, gene and immunotherapy industry. TrakCel is headquartered in Cardiff, Wales with a U.S. offices in Newport Beach, California and Bridgewater, NJ. For more information please visit www.trakcel.com.